Since enacted by a vote of the citizens of Buda in 2001, the Buda Economic Development Corporation has worked diligently with the City Council to provide leadership in recruiting and retaining desirable and diverse businesses and developing infrastructure while protecting the quality of life and natural resources in the region. This public-private partnership has led Hays County to bring significant capital investment and public infrastructure projects to the community. Tonight, we are honored to have Project ALDA join the ranks of Deep Eddy Vodka, Cabela's, Buda Mill & Grain Company, Chip Semiconductor, and others as a project that was deemed crucial to the growth of the Buda economy by being awarded incentives from the Buda Economic Development Corporation. The Buda Economic Development Corporation initially began working on this project in March of 2016, almost two years ago. What started with an exploratory phone call and follow up meeting, has developed into the project announced tonight. With hard work and countless meetings, emails, and phone calls. 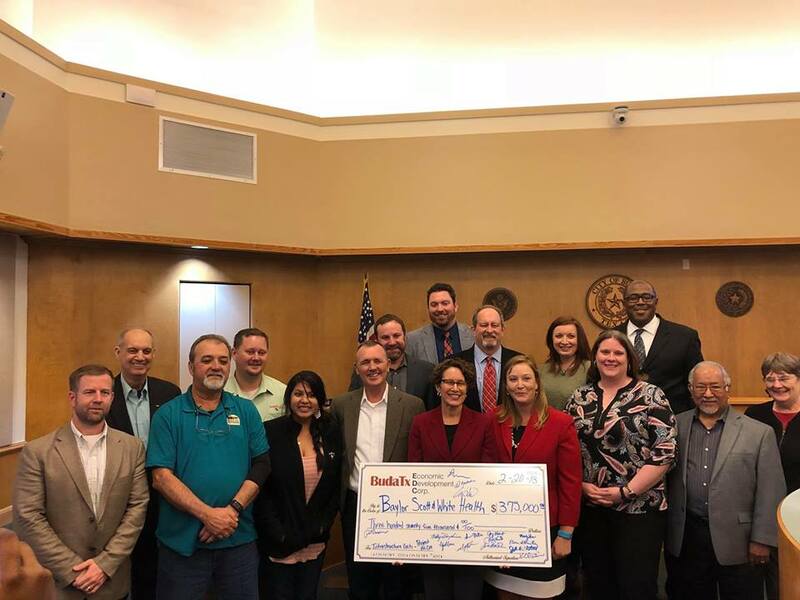 The Buda Economic Development Corporation with the guidance of the Incentive Taskforce and City Council was able to successfully negotiate Incentives for this project's key infrastructure-related costs. It is with great pleasure that we are proud to Announce that "Baylor Scott & White Health is working with the city of Buda to build a full-service hospital, the health system's first in Hays County. Details are being finalized and will be shared later." Not only will the City of Buda be gaining a much-needed community asset and partner tonight, but we will be starting a new era of growth and development in our community as this project and its employees could spur additional spin-off development. This helps generate new sales tax revenues for the city and additional property tax revenues from businesses, which helps lesson the overall burden for homeowners. That is the purpose of the Buda EDC as envisioned by our citizens more than 17 years ago.